This is an update for the post below which was written at the beginning of 2016 but the updates will carry on into 2017, 2018, 2019 and beyond. Although all of the points mentioned in the original post are still relevant to keyword research strategies, there are a number of updated tips that we would like to share. It’s really important to be clever when researching keywords to include in your content. You will probably already be targeting words and phrases which directly link to the services you offer so your pages will rank highly in Google search results, but thinking outside the box can bring you even more traffic and sales. The best keyword research tool to use in April 2019 has got to be Ahrefs. Previously I have used SEMrush, KWfinder, Longtail Pro and a few other tools. However, I recently went to the Chiang Mai Conference and met the head of marketing Tim Soulo from Ahrefs and WOW what a super talented individual. He ran through this tool and showed the advantages of Ahrefs over the competition with the data being so much larger. Have a look at this video and you will see why Ahrefs is the go-to tool for keyword research in April 2019. Let me know your thoughts on this video and whether you are as impressed as myself with the quality of this tool. It really needs to be your go-to strategy as Ahrefs is certainly the best keyword research tool in April 2019. For example, let’s say your company offers logo design services. Of course, you want to rank for phrases like ‘logo design’, ‘logo creation’, ‘company logo specialists’ etc. By mentioning phrases like this, you’ll help your pages to rank for the keywords that a potential client may be searching for. However, people who need your services may not necessarily know that they need them, so they could be searching for something else, or entering a more broad search term. Someone who is looking to re-brand their business or update their website will probably need a new logo designed, but they might not be searching for ‘logo design’. They could be Googling things like ‘business re-branding specialists’ or ‘company branding services’, so why not target your website to rank for these phrases as well? You can then offer your logo designing services to these clients, and make more sales from the additional traffic. If someone is looking for a full set of re-branding services and you only offer logo designs, they will need someone to complete the rest of the process. Things like website design, SEO strategies, marketing and promotions are all needed when creating a re-brand of a company. This is where you can try to work with other agencies who offer these additional services. You can then pass your clients to them for the extra work that is required, and they will do the same for you when they have clients who need your logo design expertise. This kind of strategy gets you more clients and offers an increased supply of enquiries for the companies you are working with. It’s a win-win result for you both, and the clients are happy because they’ve got all the services they need to re-brand themselves. The exact same process can transfer across loads of niches if you are able to re-purpose your own content and work with others to synergise your approach. Along with Ahrefs, we also make use of Answer the Public. This is a great tool, as it comes up with a number of questions relating to your keywords, you can then use Ahrefs or another tool to check if these questions are worth putting into your website as H2s or H3s. When making use of Answer the Public, make sure to scroll right through the page, as there will be a huge array of different questions that can be asked. In a lot of cases, you’ll be able to upsell your own products to people who may not have been looking for them directly. Let’s say you have a company which installs orangeries for domestic homes. These are similar to conservatories but with a slightly different design which is more like an extension of the house. You’ll obviously be targeting lots of keywords to do with orangeries on your website. But would you still want enquiries from people who are looking to install a conservatory? Of course! If someone wants a product which is very similar to yours, why not try to rank your pages for that product, and then upsell yours by explaining the many benefits it has. You might get a lot of people saying no they don’t want your product, they want what they were originally looking for, and that’s fine. Because you’ll probably get people who do change their mind and decide to go with your product instead. These are clients which would never have found your site before. So be clever and think outside the box when it comes to choosing your keywords. 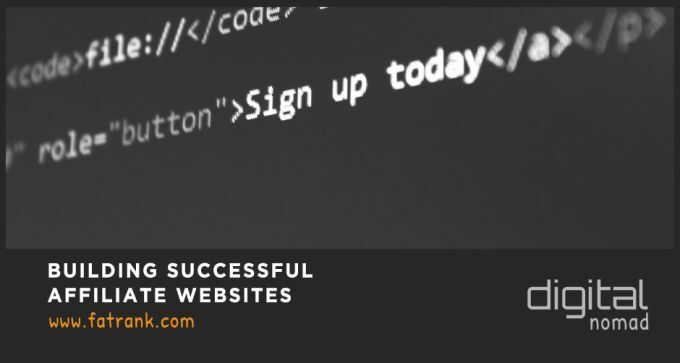 If there are other products or services which your company could provide a substitute or alternative for, mention these on your site to bring in more traffic and enquiries. The Best Keyword Research Techniques 2017 are all about trying to find the key phrases that convert well, have enough traffic and are not too competitive to rank in the SERPs. As one of the most important aspects of SEO, keyword research is something that you need to take an in-depth look at before you start a campaign. You’ll want to come up with a list of words and phrases that you want your website’s pages to rank for. So, if someone typed these particular words and phrases into a Google search, your website would appear as one of the top results. There are a number of tools and different methods that you can use for finding the best keywords to target. These will show you things like average monthly searches, cost per click (CPC) and competition for each word or phrase. All of these metrics are really valuable when trying to find phrases that people search for, but aren’t too difficult to rank for. 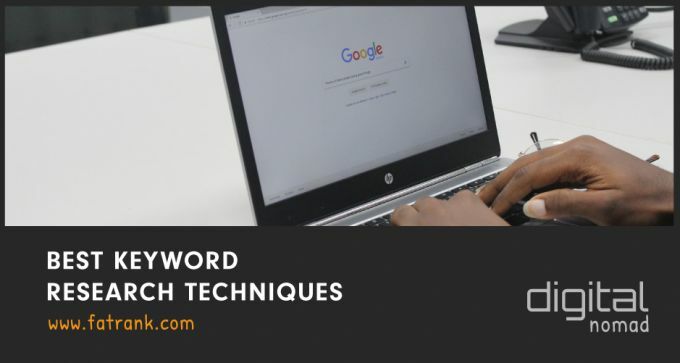 Some of the most commonly used tools for finding words and phrases to target include SEMrush, Long Tail Pro and Google AdWords. To find out more about these keyword research tools, click here for a detailed post which discusses each one. Here is a link below to sign up with SEMrush if you do not currently have an account as it is a must-have tool. Through these tools, you can input your website URL, competitor websites or a set of keywords and you will receive some data about the information you have put in. You will also be able to find suggested keywords that you may want to start targeting with your content, as well as the key metrics for these phrases. If you’re looking for a couple of quick keyword ideas, you could simply use the suggestions which appear on Google search. This will be either from the search bar if you type in part of your key phrase, or at the bottom of the SERPs page when the results have been displayed. To find out more about these, have a look at this post which explains the different types in more detail. Buyer keywords are the best converting keyphrases you want to be trying to rank for. These are search terms that someone will use when they are ready to purchase a product or service. Using words like ‘best’, ‘cheapest’, ‘reviews’ and ‘buy’ along with whatever the user is looking for will indicate a buyer keyword. If you are selling a product, you want to target people who are looking to buy your product rather than people who just want to find out some information about it. So for example, if you sold running shoes, you wouldn’t just want to rank for phrases like ‘running shoes’ or ‘sports footwear’. You’d want to present your website to people who actually want to buy running shoes. So targeting things like ‘best men’s running shoes’ or ‘cheapest new sports shoes’ is going to give you a better conversion rate. For more information from Matt Woodward on keyword research then click on the link which will bring up a playlist of six great videos explaining why Long Tail Pro is amazing to do the researching and analysis on keywords. Another technique which you might want to try for researching long tail key phrases is ‘Frequently Asked Questions’. Many websites will have an FAQ section which answers common queries from customers with useful information. Simply typing your keyword or niche into Google along with ‘FAQ’ or ‘frequently asked questions’ will display web pages with common questions that people ask about that topic. This will then give you some ideas of the types of things your potential customers will be asking and possibly typing into Google for a search. You can then put these questions into your page content and provide a helpful answer. That way if someone types in that particular question, your page will rank and you’ll be able to give a helpful response and good user experience which is something Google loves. Once you have completed your keyword research using the different tools, you need to start incorporating your findings into your strategy. The main way you can do this is by including the chosen words and phrases into your on-page content. Getting the target keywords into your content shows Google that your page is relevant to that topic, and should be displayed as a search result. However, you need to be careful that you don’t go overboard and use your key phrase too many times on the same page. This is regarded as ‘keyword stuffing’ and results in over optimisation which could see a reduction in your rankings. The percentage of times that a particular word or phrase is displayed on a page is known as keyword density. This is something that you can use to check for over optimised content on your website. It is unclear what the ‘perfect’ percentage would be for keyword density as it varies between each niche, the amount of content on the page, and the context in which it is written. However as a general rule, I would suggest looking at around 1-2% for your main keyword, and this being the highest percentage of all the words and phrases on the page. But how do you get a keyword density of 1% for the words ‘running’ and ‘shoes’ on a page which is solely talking about running shoes? Surely it’s impossible to mention those words so few times! Well, you’re wrong. In order to bring your keyword density down and avoid being over optimised, you can include these LSI variations. This also helps to show Google that your page is relevant to that topic because they see that certain words are often mentioned together, and then group these words as synonyms. Take a look at our other blog on LSI keywords for a more in-depth explanation of this. Another method of adding more keywords to your content is gap analysis. This involves using tools like Ahrefs to look for anywhere that you may be missing certain key phrases that you should be ranking for. You’re essentially comparing your site to your competitors’ sites in an effort to see what they have that you don’t. Making these positive changes to your existing content can help boost your rankings, as well as increase traffic and click through rate to your website. Doing in-depth research into your keywords is an extremely important part of any SEO strategy. You need to know exactly what you are trying to target, and you need to choose words and phrases which are achievable for your company and your niche. By using a number of tools and them implementing your findings effectively, you should be able to create well-optimised content which brings in customers and converts to sales. Please let us know your thoughts on keyword research and all of the different topics covered in this post. We’d love to hear what you think and if you have any new ideas! Good job with this post James. It’s brief and informative. Have your tried LSI Graph? You might want to check it out. It’s a very helpful tool for keyword research.